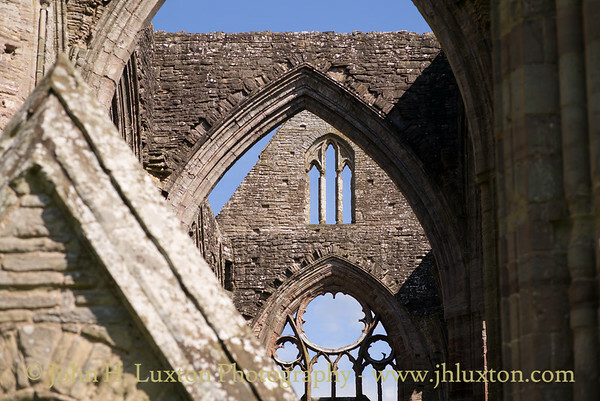 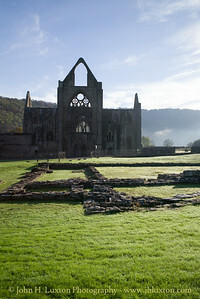 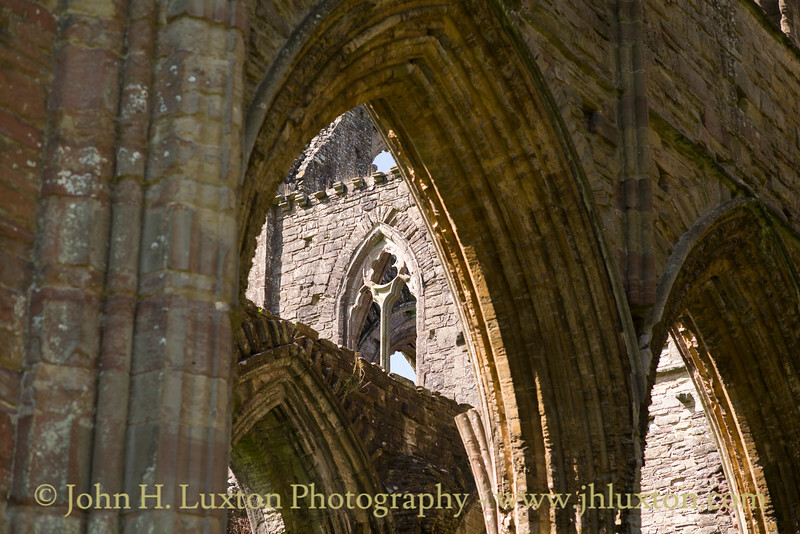 The finest Cistercian Abbey in Wales, Tintern Abbey (Abaty Tyndyrn) was founded by Walter de Clare, Lord of Chepstow in May 1131. 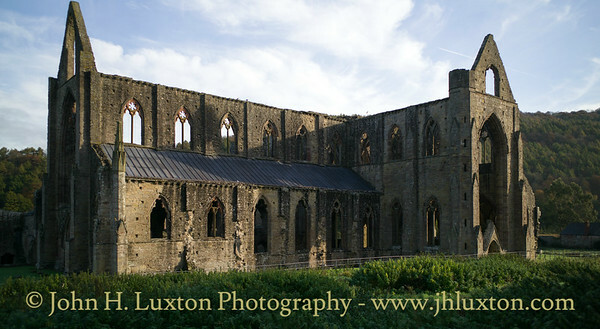 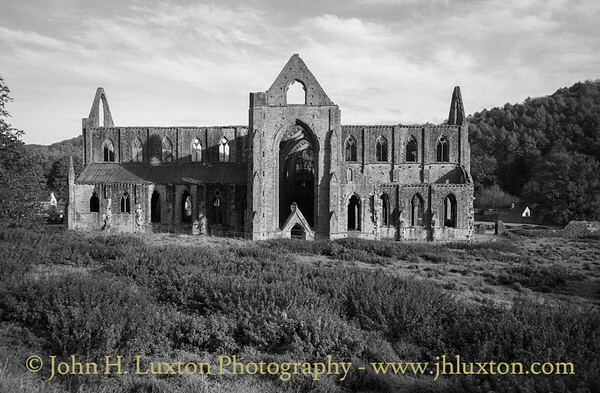 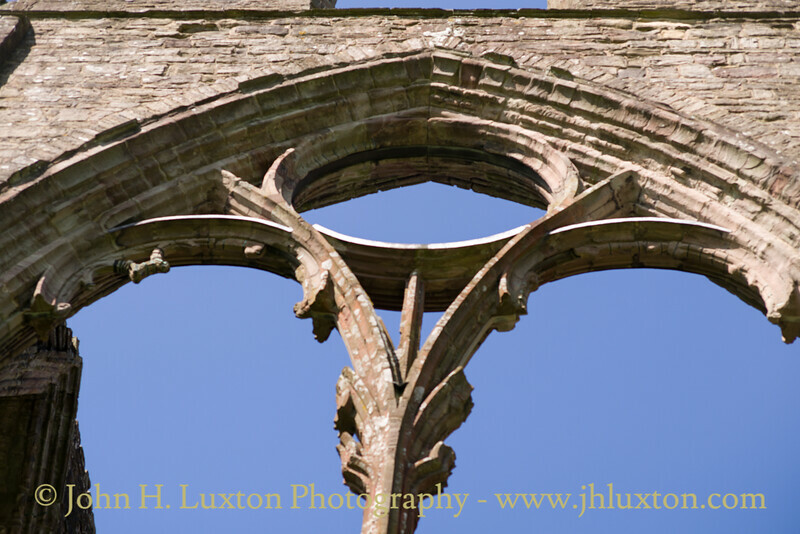 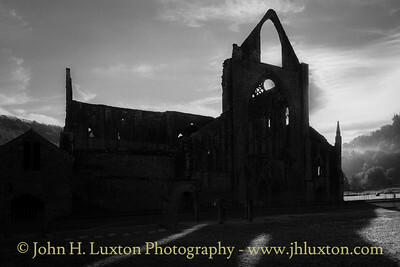 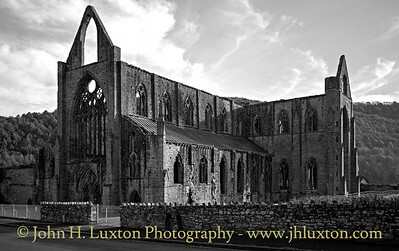 It is situated in the village of Tintern in Monmouthshire, on the Welsh bank of the River Wye which forms the border between Monmouthshire in Wales and Gloucestershire in England. 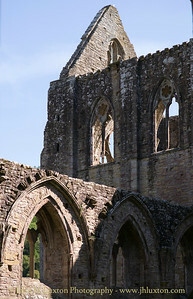 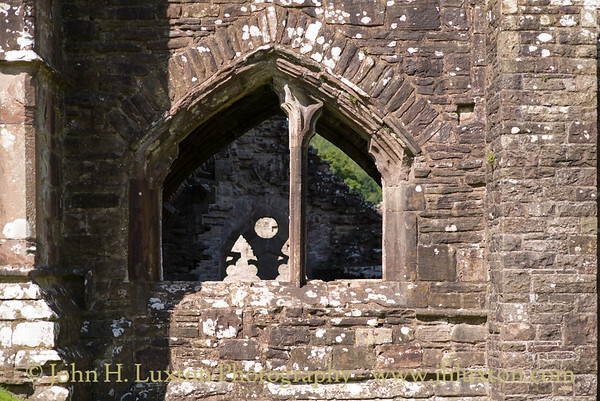 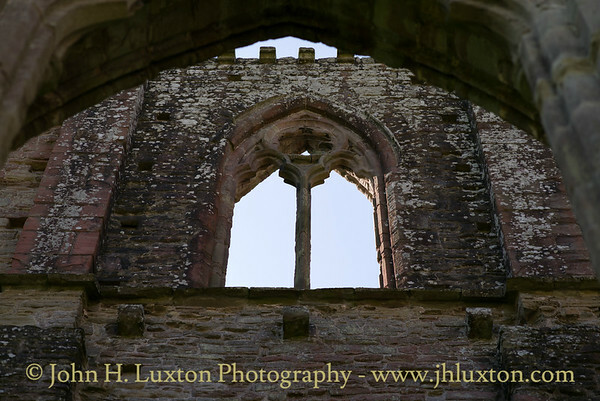 It was only the second Cistercian foundation in Britain, and the first in Wales. 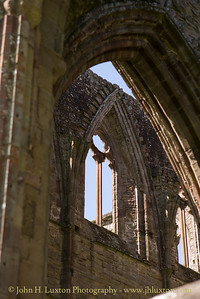 The photographs are presented in reverse chronological order in this gallery with the most recent photographs appearing first. 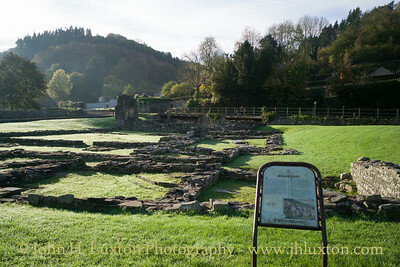 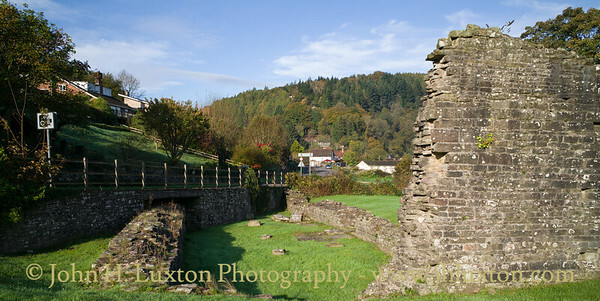 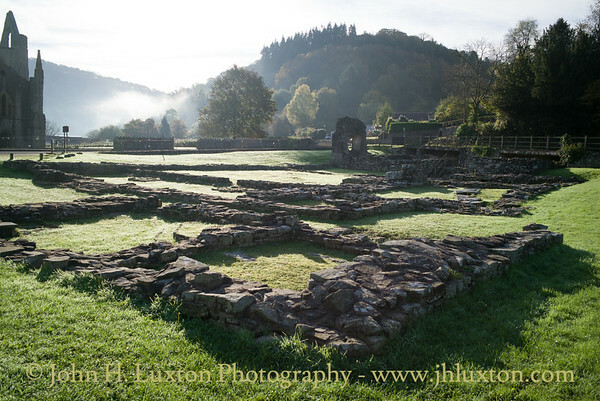 Foundations of the buildings of the Inner Court at Tintern Abbey. 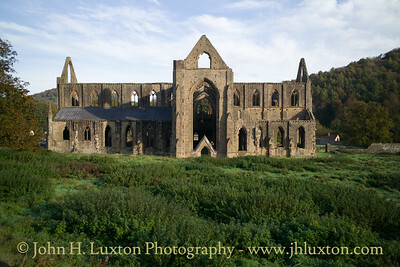 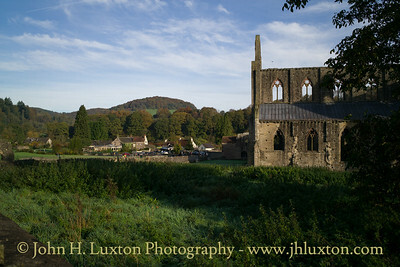 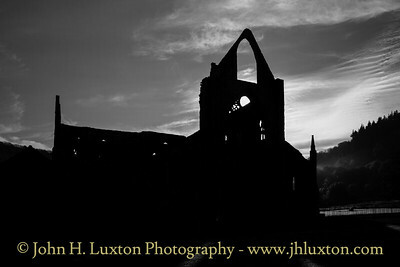 Tintern Abbey viewed from the A449 Monmouth to Chepstow road. 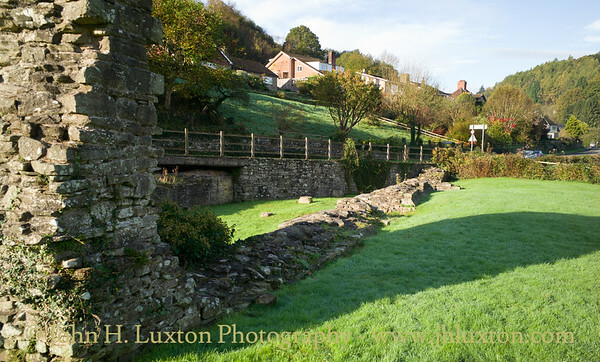 The Anchor Inn which was once the Abbey cider mill can be seen in the distance. 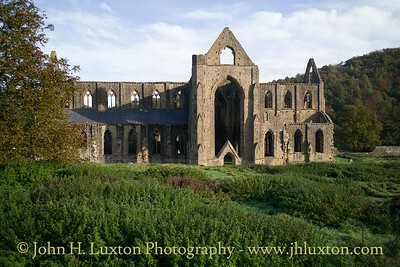 Tintern Abbey viewed from the A449 Monmouth to Chepstow road. 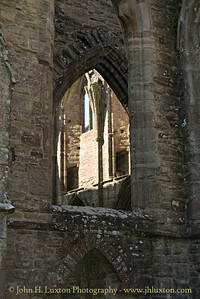 View through the nave to the north transept. 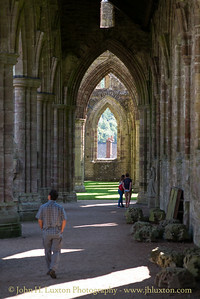 View down the west aisle of the nave. 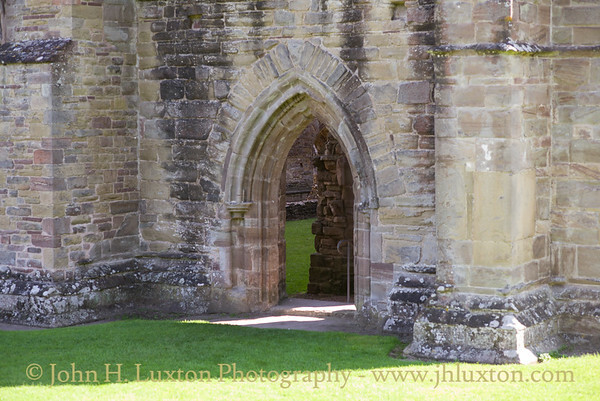 Entrance to the west aisle of the nave.